JFH News: Manafest Receives 2015 JUNO Nomination for "The Moment"
SEATTLE, WA (January 29, 2015) -BEC Recordings' artist and author Manafest was awarded his fourth career JUNO nomination earlier this week for his 2014 release The Moment. The album was nominated for Contemporary Christian/Gospel Album of the Year. The 44th annual JUNO Awards will be broadcast on CTV from First Ontario Centre in Hamilton, Ontario on Sunday, March 15, 2015. 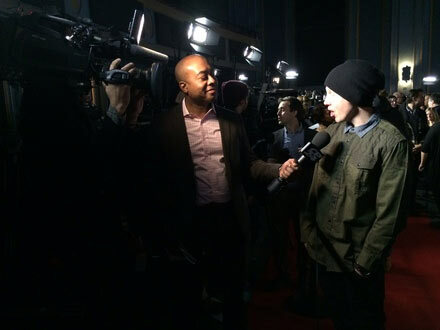 "I was super stoked to find out I was nominated for my fourth Juno Award," shares Manafest about his nod. "Even more excited that the event is on my daughters first birthday, hopefully I can take a Juno home for her." ABOUT MANAFEST: Over the past decade, Chris Greenwood has used the moniker Manafest to organically build his fan base playing over 1000 shows on 4 continents. In 2006, Manafest released Glory from which the rock anthem "Impossible," featuring Thousand Foot Krutch's Trevor McNevan, became a global hit. In 2008, Manafest followed up with Citizens Activ, which catapulted success garnering multiple TV placements and his overall presence in the US and internationally. In 2010, Manafest released his most critically acclaimed project, The Chase, which he received a JUNO Award nomination as well as won a 2010 GMA Canada Award. In June 2011, Manafest released his first self-titled live DVD / CD. In 2012, Manafest released his fifth studio album, Fighter, which debuted in the Top 20 on the iTunes® Rock album chart at No. 16 and was the highest career debut for Manafest landing at No. 7 on the Billboard Heatseekers chart. Manafest spent weeks touring in Japan and China supporting the international release of Fighter where he debuted at No. 8 on the Japan iTunes chart. Fighter was nominated for a 2013 Dove Award. In 2013 he released his first book with the same title as his best-selling album Fighter. In 2014, Manafest released his seventh label album The Moment. Manafest has sold more than 300,000 records worldwide. Touring worldwide Manafest has traveled to the United Kingdom, Ireland, New Zealand, Japan, Russia, Ukraine, China, Australia and the United States.